2 x 2 meter (A Pair) Naim NAC A5 Audio Speaker Cables Terminated. 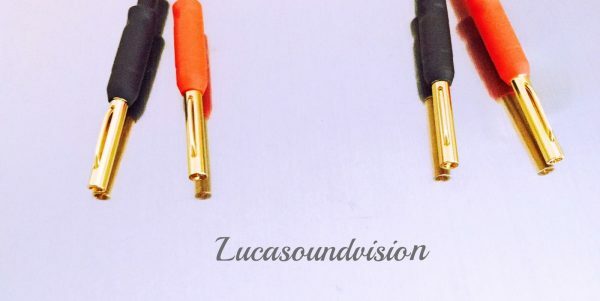 Naim dual soldered Banana Plugs (Amplifier Terminal Connection) to a Very high quality 24 gold-plated AIRLOC 4mm Banana connectors Plugs (Speaker Terminal Connection). 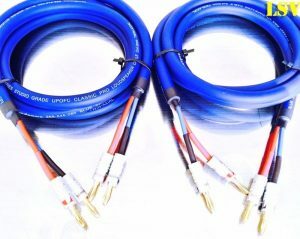 The cables are high double pressure crimped of professional crimping tool AIRLOC HIGH PERFORMANCE TERMINATION (for maximum contact surface area), To a Very high quality 24 gold-plated AIRLOC 4mm Banana connectors Plugs, other ends Naim 4mm dual soldered Plugs. 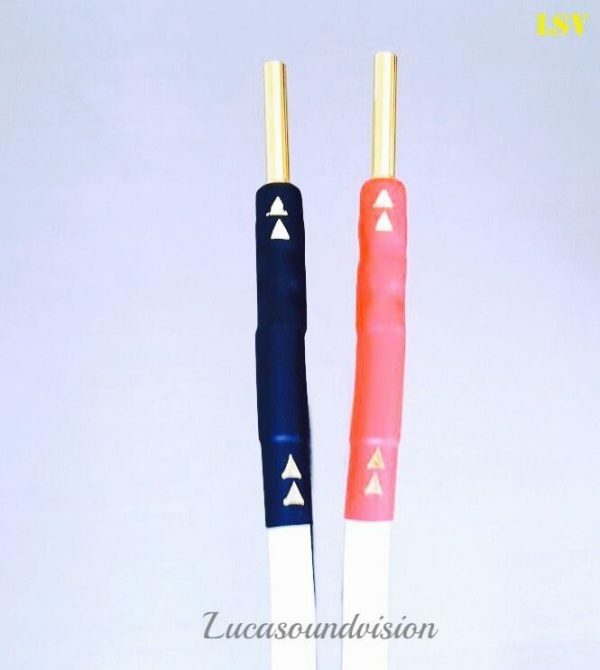 Banana plugs finished with high quality branded colour coded black and red (marked arrows) heat shrink sleeves. NOTE: Plugs Naim Please connect to an amplifier according to the markings on the housing cover POS + (Positive) red terminal of the amplifier. 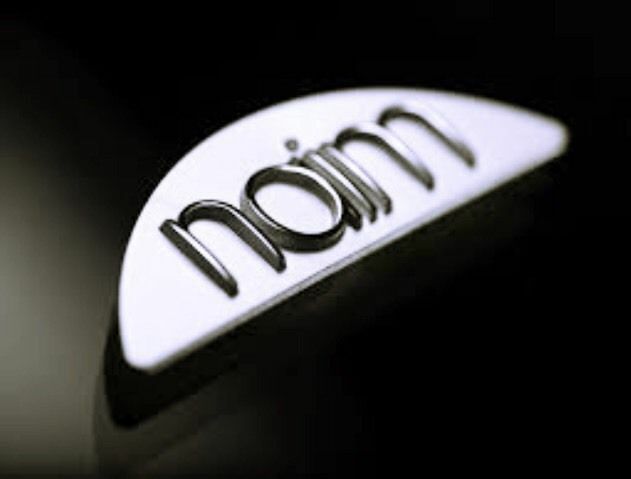 Please see our store for a full list of Naim NAC A5 terminations, lengths and colours. 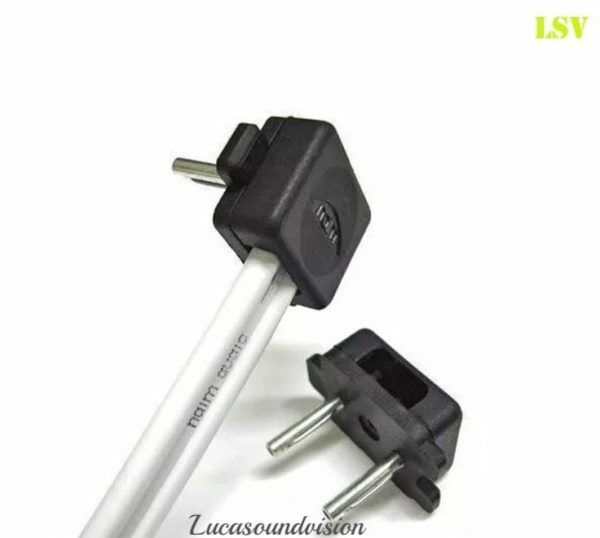 If you would like a different combination of Naim Plugs and different connectors type, or different cable lengths, please ask. Please have a look at our other items, Any questions please contact with me.Thanks for looking. • Every link in the hi-fi chain is important. 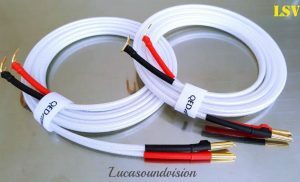 Connections between components, including those to the loudspeakers, are crucial to the performance of any audio system. • NAC A5 is our multi-strand loudspeaker cable, consisting of two separated 4mm2 conductors. Its design is optimised for use with any Audio amplifiers and any loudspeakers by ensuring that its capacitance, inductance and resistance are entirely compatible.